At Bridge & Temple Optometry we believe in holistic and preventative approaches. We encourage all our patients to be seen on an annual basis to maintain the best vision possible. 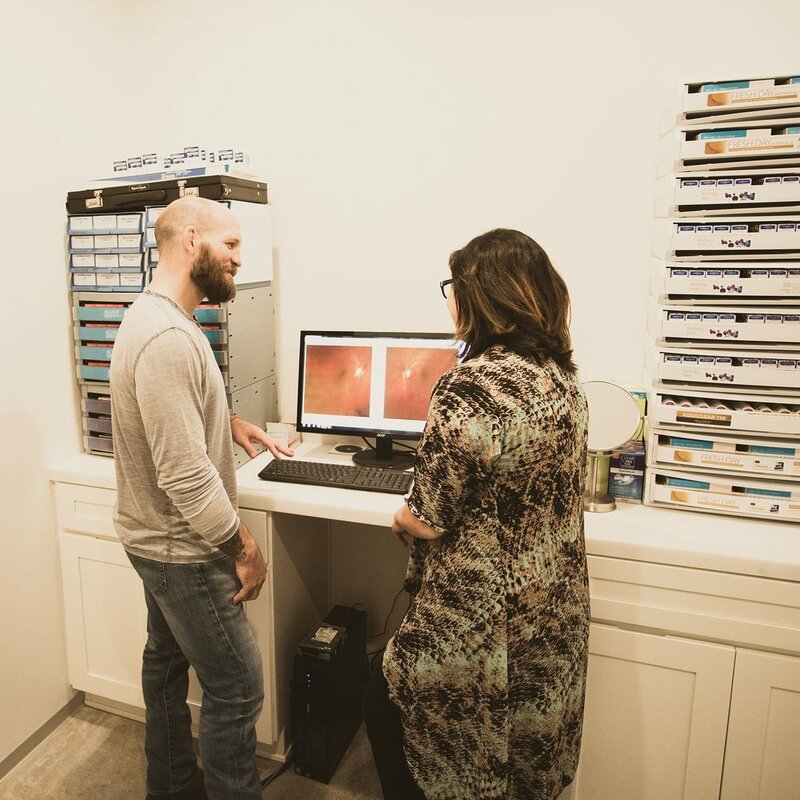 We offer fundus photography to every patient because we believe it is an important step in maintaining healthy vision. We offer contact lens fittings for just about every prescription. We take the time to get the best visual outcomes possible with contact lenses. We offer specialty mono vision and multifocal lens fits for our presbyopic patients. Bridge & Temple have the perfect frames and prescription lenses to fit your needs. Not all lenses are equal and we take the time to get to know you, and your needs, to make the best suggestions to meet your visual demands. We also offer hundreds of high quality frames at multiple price points. We understand dry eyes can be very frustrating. Dry eyes are a very common condition and we offer exams and treatments, including punctal plugs. We are able to treat most red eyes, offering relief to a plethora of red eye problems. 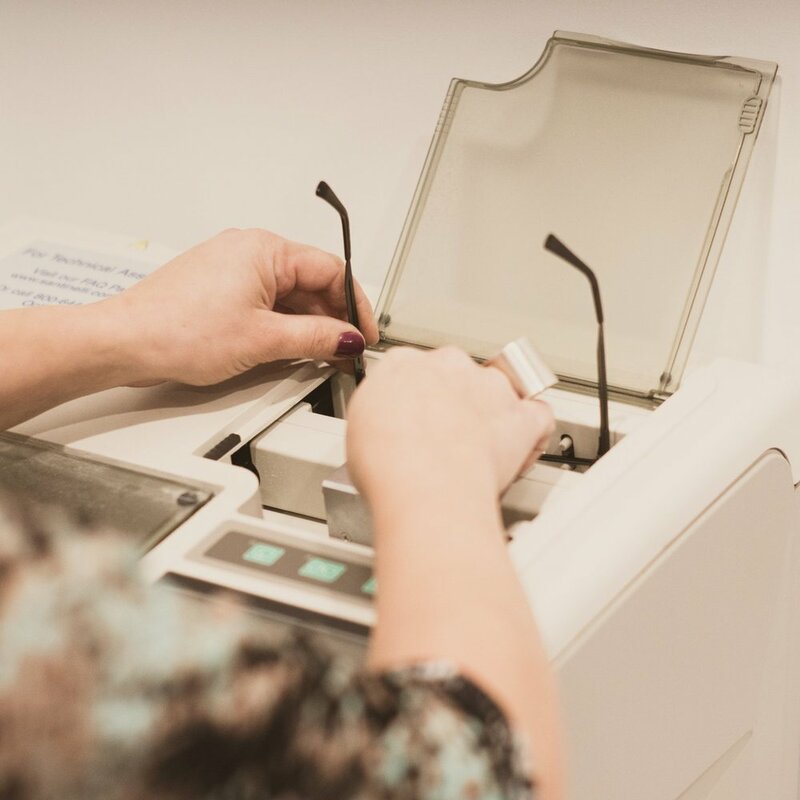 We offer a comprehensive glaucoma screening including optic nerve photography, intraocular pressure checks, pachemetry and visual field testing. If you have decided you would like to explore the idea of LASIK, we offer co management with trusted local ophthalmologists. If it is time to remove a cataract we offer co management with trusted local ophthalmologists. We offer in-house edging for select prescriptions. We also offer repairs and adjustments.